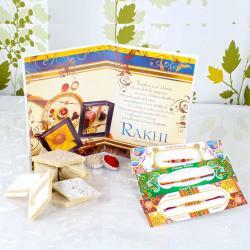 Product Consists: Exclusive 3 Rakhis Threads, Soan Papdi Chocolate Flavor (Weight 200 Gms) along with Packet of Roli Chawal. 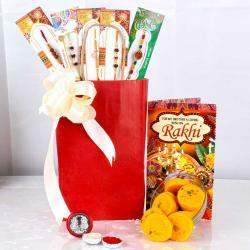 This Raksha Bandhan gift pack contains several special touches that are bound to make your darling brothers feel really loved and special indeed. Choose this combo pack on Raksha Bandhan and give your brothers a surprise that he will never forget. 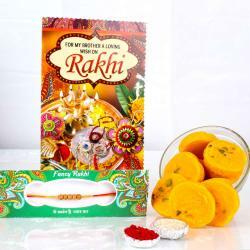 This gift pack comes with 3 Rakhi threads and Soan Papdi. 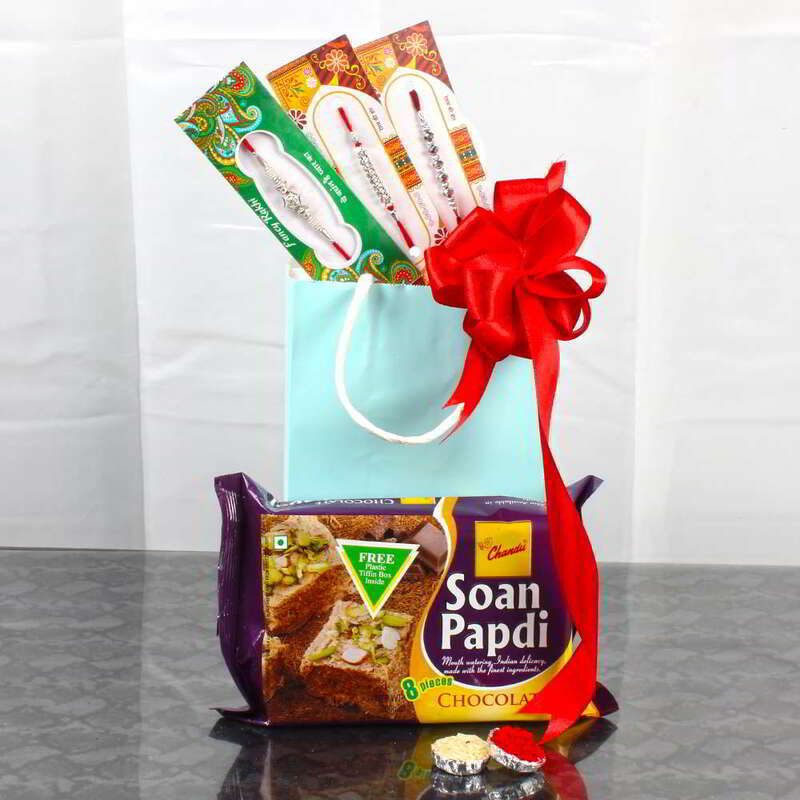 You will love this Raksha Bandhan combo gift pack for containing everything special that you need to surprise your darling brother on the auspicious occasion. 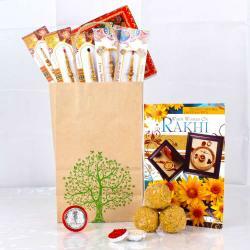 Exclusive Rakhi Goodies Bag Includes: Exclusive 3 Rakhis Threads with Soan Papdi Chocolate Flavor (Weight 200 Gms) along with Packet of Roli Chawal.